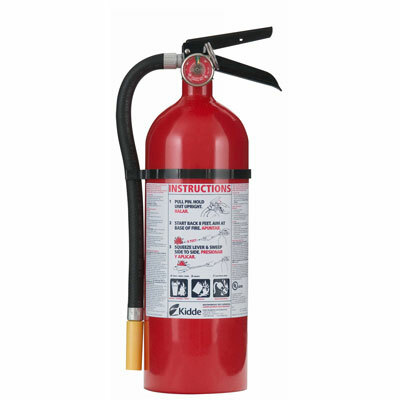 Extinguisher features a metal valve and steel cylinder and is designed to meet most commercial and industrial applications. Its seamless aluminum cylinder feature chip-resistant paint, while its handle and lever are made of pressed heavy-gauge metal for added strength. Checking the pressure is fast and easy, too, thanks to an at-a-glance gauge. This dry chemical unit use a non-toxic monoammonium phosphate agent that effectively fights Class A, B, and C fires.